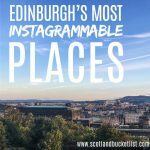 There is no shortage of things to do and see in Edinburgh, however, perhaps you’re looking for an escape from the city and are interested in some short day trip outings. 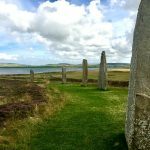 There are many blogs that recommend day trips to the Highlands from the capital, however, we personally feel that, although possible, you won’t be doing this beautiful part of Scotland justice and will end up spending in excess of 6 hours in the car. You can, of course, join an organised tour where you’ll at least be able to take in the stunning surroundings from the comfort of your seat. 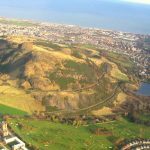 Our Edinburgh day trip guide covers outings that take between 30 minutes to 1hr 20 – a very comfortable round day trip. 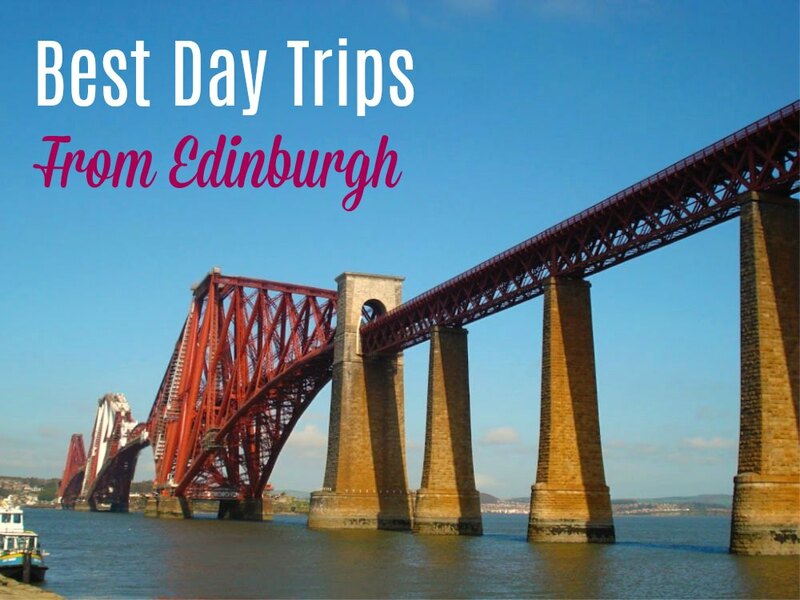 So read on if you’d like some inspiration for day trips from Edinburgh. 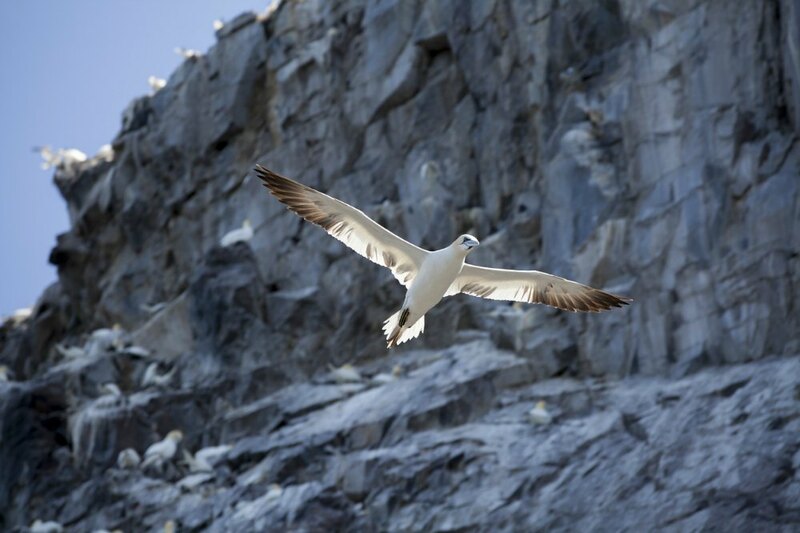 Nature, wildlife, history, art – we’ve got you covered! St Andrews – the home of golf – is an attractive seaside town on the Fife coast of Scotland. There is of course more to this town than its famous Old Course golf course! The place is steeped in history – the University for a start is the oldest university in Scotland and was founded before America was even discovered. It’s also where Prince William met Kate and it’s rumoured that 1 in 10 students meet their future spouse there. The scenic castle is worth a visit with its infamous bottle dungeon and counter-mine defense system. 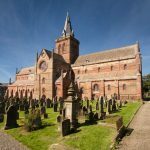 Don’t miss the Cathedral and if you’re feeling particularly energetic, climb the many steps up St Rule’s Tower to get a great panoramic view of the town and the surrounding landscape. You’ll mostly bump into golfers and students – after all students make up one third of the population during term time! There are two main beaches to choose from – the large expansive sands at West Sands and the smaller, bay-like beach at East Sands. Getting there: You can reach St Andrews by car in about 1hr 20 mins from Edinburgh or by bus in 2 hours. There is no train station in St Andrews so you’ll need to catch a train to Leuchars (1hr) and then a bus or taxi ride to the town. Aberdour is a quaint little village across the water in Fife, a short scenic half hour train ride from Edinburgh Waverley train station. It has shot to fame since featuring in the famous series Outlander. 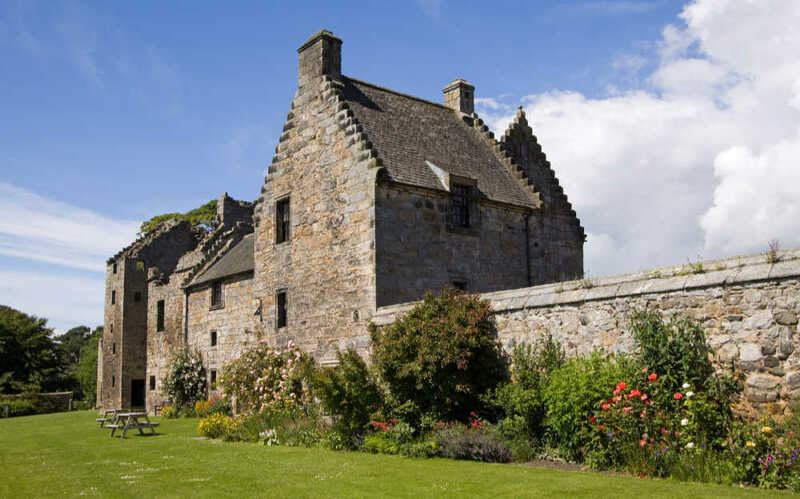 So for any Claire and Jamie fans out there, be sure to include a trip to Aberdour Castle on your itinerary. The Castle featured as Sainte Anne de Beaupré monastery in the series. We also highly recommend a trip to Aberdour Beach! Getting there:Aberdour can be reached by car in 40 minutes or alternatively opt for an easy 30 minute train ride from Edinburgh Waverley station. For the trainspotters amongst you, head to the pretty coastal town of South Queensferry. You can’t a better view of the iconic Forth Railway Bridge! This famous red metallic structure towers above the South Queensferry skyline. The Forth Bridge, built over 125 years ago, is listed as a UNESCO World Heritage Site and is an incredible feat of engineering. 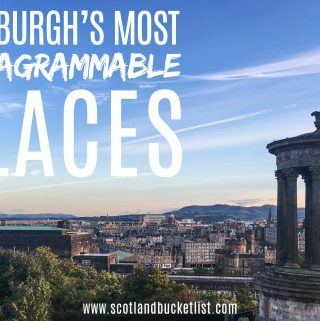 This small town to the West of Edinburgh will charm you with its small lanes, cafés restaurants, shops and friendly locals – it’s the perfect destination for a day trip from Edinburgh. 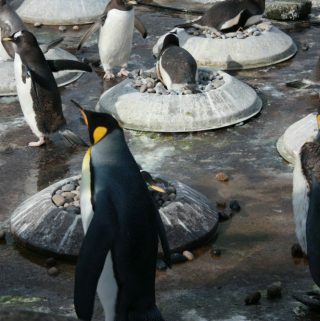 If you’re looking for history and wildlife, then jump aboard the Maid of the Forth or Forth Boats for a great outing to nearby Inchcolm Island. 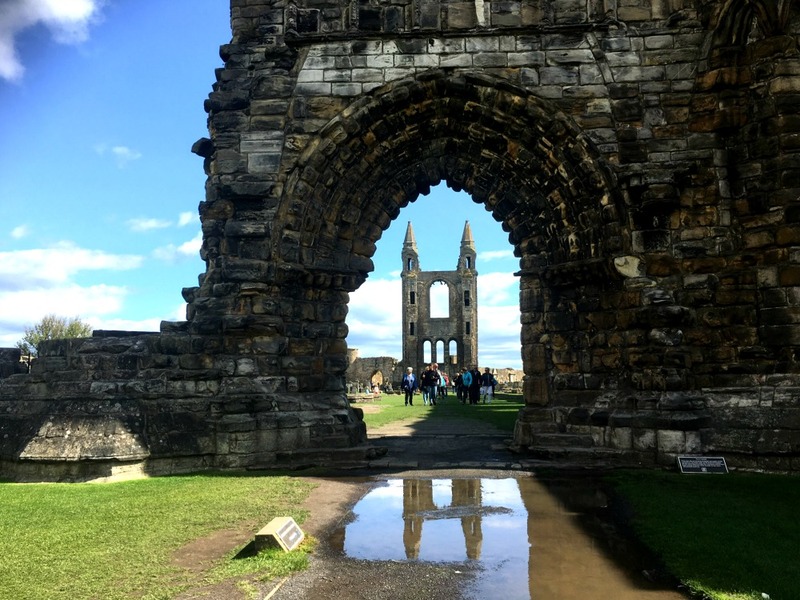 Imagine a peaceful picturesque tiny island with an incredible history and an ancient abbey, just a short trip from the centre of Edinburgh. This is Inchcolm Island, this is ‘Iona of the East’. Oh and it’s even mentioned in Shakespeare’s Macbeth! Take a leisurely boat trip from South Queensferry to reach the island and enjoy an afternoon visiting the 12th century Abbey. 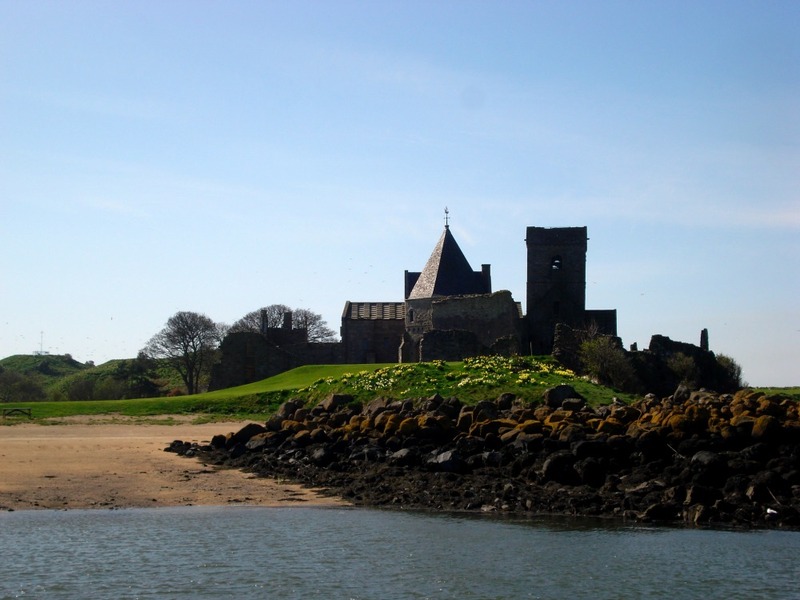 Construction of the historic Inchcolm Abbey was started under the orders of King David I. In more recent times the island has also played its part in the 1st and 2nd World Wars. 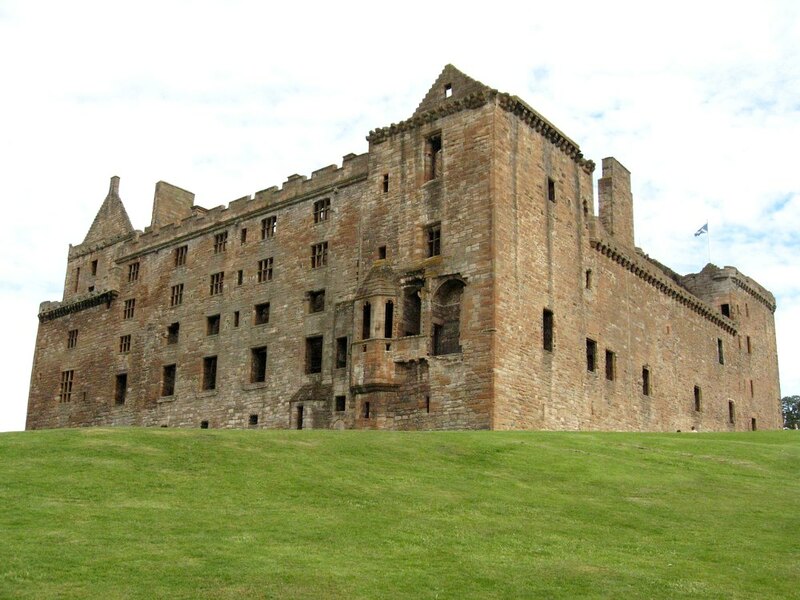 Due to its location in the Firth of Forth it was ideally placed as a defensive HQ. At this time, many war ships were anchored between the Forth Rail Bridge and Inchcolm Island. Wartime constructions include anti-submarine booms, secret tunnels, heavy gun emplacements and an engine house used to generate electricity. Getting there: catch the Maid of the Forth or Forth Boats from Hawes Pier in South Queensferry. These two large sculptures are amazing! You can see them from the motorway (yes, slightly distracting when you’re driving along at full speed) and we strongly recommend that you take the time to look at them more closely. 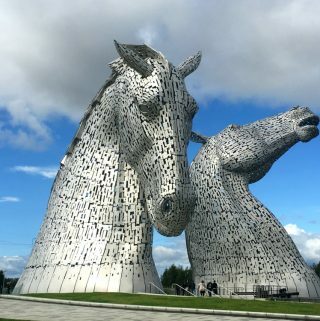 We recently ticked them off our own Scottish Bucket List and were blown away by these majestic sculptures. 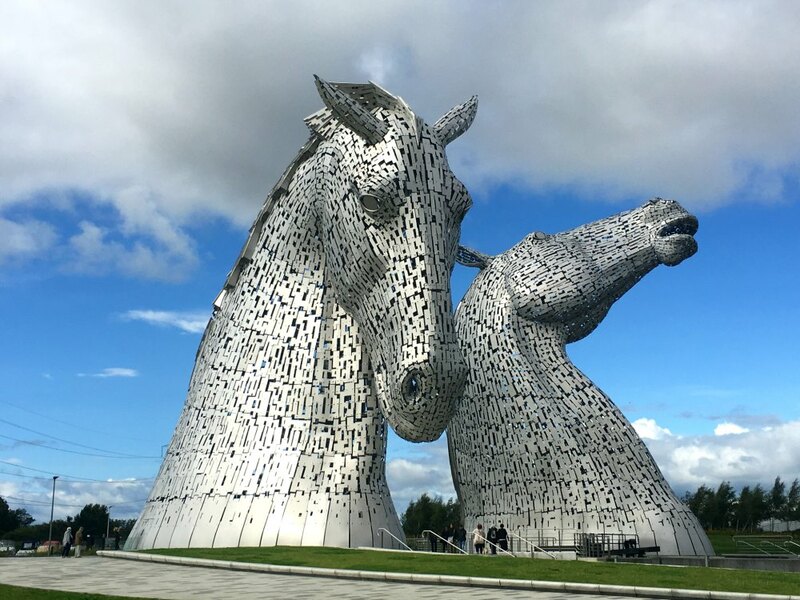 The Kelpies stand at around 30 meters in height and weigh over 300 tonnes. They’re inspired by the mythological water spirit that is said to inhabit the Scottish lochs. 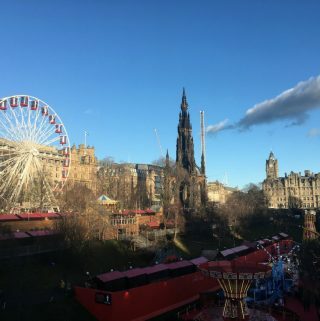 Visitors often overlook Glasgow in favour of Scotland’s capital, however, this hip, vibrant city is definitely worth a visit and is an easy day trip from Edinburgh (a short 45 minute train ride). 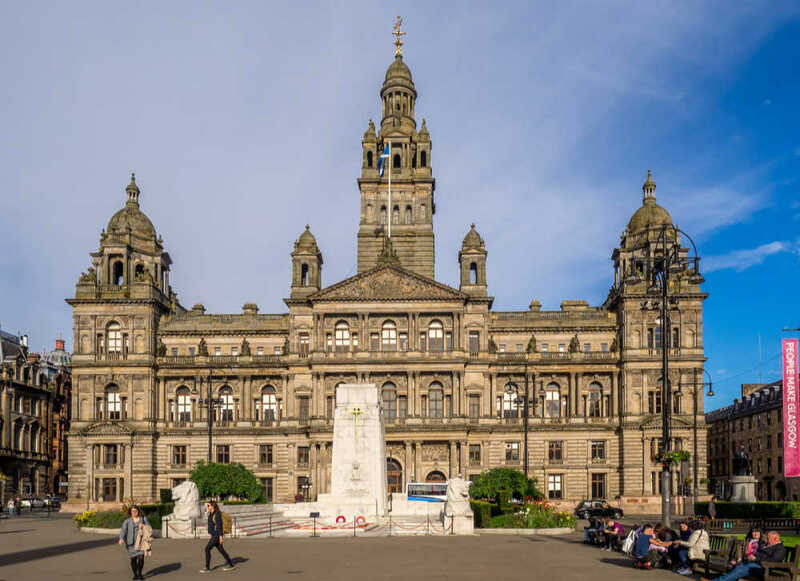 Known as the world’s friendliest city, Glasgow is famous for its welcoming locals, its stunning architecture, world-class visitor attractions, shopping and lively nightlife. It’s home to many fantastic museums and art galleries including the Riverside Museum, the Science Museum, the People’s Palace, the Burrell Collection not to mention Glasgow’s flagship museum, Kelvingrove in the West End. The museum houses famous works of art including Dali’s iconic Christ of St John of the Cross. Jupiter Artland is located on the outskirts of Edinburgh (technically in West Lothian), however, it’s well worth the detour if you have the time and transport. It’s a contemporary park showcasing art installations, a woodland art trail, grass sculptures and more. There’s also a lovely teashop if you need to refuel at any point. If you’re on a budget, head there on a Monday for ‘‘pay what you want Mondays’ and note that it’s only open from May to September. 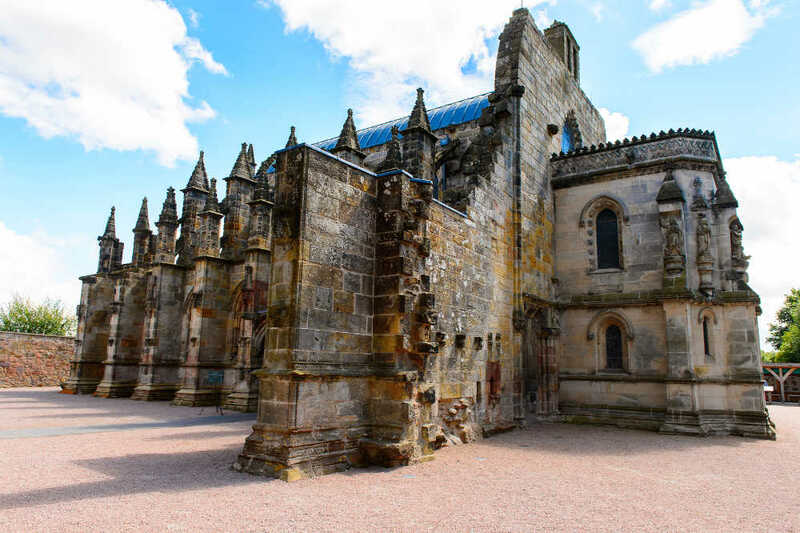 Rosslyn Chapel was put firmly on the map after the release of Dan Brown’s Da Vinci Code. Most people are aware of the existence of this famous chapel, following its starring role in the movie ‘The Da Vinci Code’. However, it’s much more impressive away from the silver screen, where you can touch and feel the history. The first foundation stones were cut in 15th century on a small hill in the village of Roslin, 10 miles from Edinburgh. Make no mistake this a building that stirs the soul. Over the years many people have tried to unlock the mysteries of the symbolism within. There are some that believe that this beautiful ornate chapel has connections with the Knights of the Templar and even that the Holy Grail is hidden here. While others believe that the chapel is a stargate to another world, perhaps one way of explaining its unearthly beauty. The exterior is impressive, but you can see why there is so much passion for this place when you step inside. It’s hard to comprehend the amount of time and skill that was required to create the carving of the ‘Apprentice Pillar’ let alone the fantastic geometric ceiling patterns. Legend has it that the apprentice stone mason made such a good job of the pillar, that the chief mason became jealous enough to kill him! 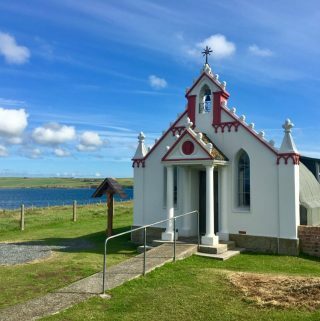 Whether you believe in aliens or the Holy Grail visiting this stunning chapel should not be missed, the experience is nothing short of jaw dropping! Now in ruins, this incredible 15th Century palace was once Scotland’s answer to Buckingham Palace. King James I, III, V, VI called it home and Mary Queen of Scots was born here. While officially the last resident moved out in 1648, watch out for the ghost of Mary of Guise (Mary Queen of Scots’ mother). To get some idea of just how bling this building was in its heyday, check out the ornate orders of chivalry above the arch at the gate house You won’t be disappointed by the intricate nature of the carvings, lavishly coated with gold, royal blue and deep red. A visit to what remains of the great hall sets the scene of what life must have been like for those within these Royal walls. Given the scale of the room, it’s easy to imagine the sumptuous banquets that must have taken place here. It is perhaps no coincidence that Karl Lagerfeld chose this location for Chanel’s 10th Metiers d’art show in 2012. All this makes it hard to believe that once Scotland’s monarchs moved to England in 1603, the buildings were rarely used and were eventually destroyed by fire 1746. Beautiful parkland surrounds the Palace complete with a large lake. It is here that the music festival ‘Party at the Palace’ has taken place in more recent years, but it’s also perfect for a picnic. 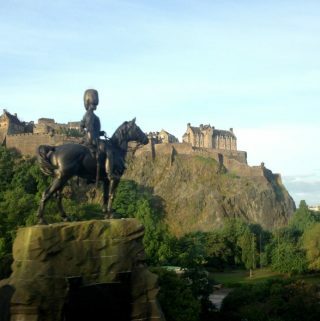 The palace ruins and grounds are now maintained by Historic Scotland and it’s open to the public all year round. If you are visiting Edinburgh and fancy a wee dram, then what better place than a real-life working distillery. 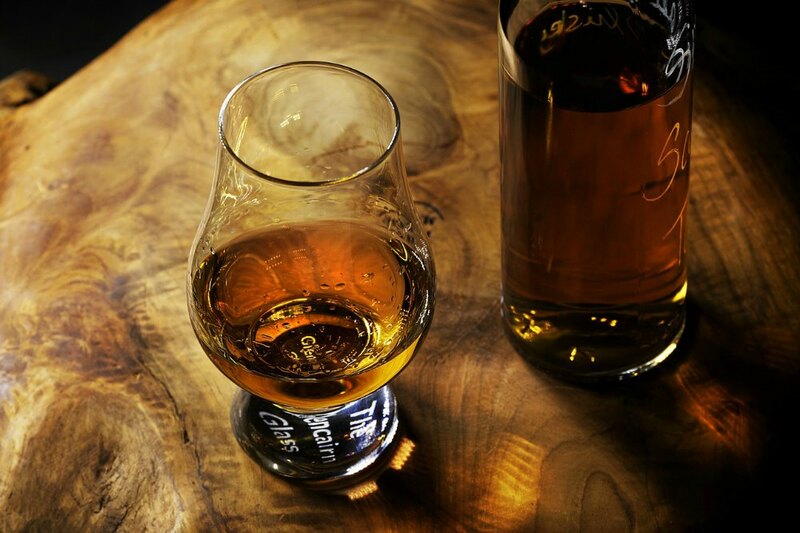 Founded in 1837, Glenkinchie features in the prestigious ‘Classic Malts Selection’ and has won best lowland single malt back in 2013, so you are in good hands. 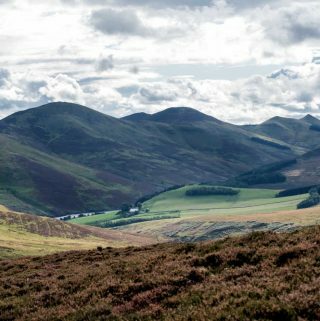 The distillery is conveniently located only 15 miles from the city in beautiful East Lothian, so no Highland road trip required. To make it even easier to sample some of the amber nectar at source, there is a small luxury shuttle bus run by the distillery. It will pick you up in the centre of town twice a day, 7 days a week. Ok so you have arrived in whisky heaven, what next? Well, you will be presented with a choice of 4 tours which increase with price, plus there is a brilliant exhibition which features a model distillery. All very educational. There is something for everyone. The basic tour comes in at around £10, while the range topping ‘Managers Tour’ will set you back £150. But this option does take 2 hours and gives you chance to taste all 6 whisky’s that this small distillery produces. The good news is that even the basic tour gives you a chance to sample your very own ‘angels share’ (aged 12 years), in the form of a complimentary glass of what you came for. 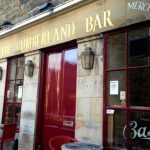 The exclusive Royal of Burgh of North Berwick is a quaint little seaside town 25 miles from Edinburgh and is a great day trip option from the Scottish capital. It can easily be reached by train in about half an hour or by car 40 minutes. In the centre, there is an eclectic mix of sprawling Victorian villas (many are now B&Bs) and traditional fisherman’s cottages. There is always plenty of activity in the 12th century harbour, although most of the fishing boats have been replaced by pleasure craft these days. 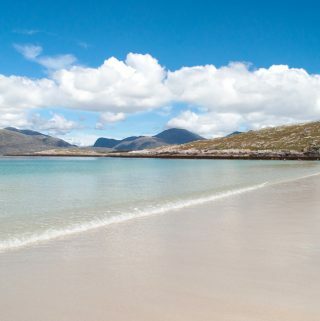 Find your perfect spot on one of the two lovely sandy beaches, grab an ice cream from the amazing award winning Alandas Gelateria and get blown away by the view, hopefully not the wind. From the beach there is a great vista of the coastline including the dramatic island of Bass Rock. There is also great choice of small independent shops for gifts, together with excellent cafes and restaurants. One of our favourite places to sample the local seafood is the Lobster Shack take away at the harbour. for your weekly travel fix.